Experience Santa Teresa Book a Vacation Package! Our packages highlight the major activities of this area, and they are designed for your convenience. Let us do all of the organizing, and all you have to do is show up and have fun. We work with the most reputable activity-vendors in town, and we promise that they are reliable, friendly, and professional. There is so much to do in Santa Teresa that you might find it challenging to decide where to start. You may even decide to extend your stay because you want more! We offer vacation packages that include surfing, horseback riding, zip-lining, ATV tours, snorkeling, diving, fishing, and much more. We also include yoga and massage for relaxing after lots of activity. Just select the activities you’d like to experience below, then send us the information. We will design a package that includes everything you’d like to do, and maybe some surprises as well! As you scroll down the page, you can see some sample packages we’ve created. Check them out to get an idea of what you can expect, and use them to inspire your dream vacation package! Our primary guide is Cesar Cespedes. He is a professional surf instructor and a native Costa Rican. He originates from Tamarindo, and he has lived in Santa Teresa and Mal Pais for 5 years, where he owns and operates Surfing Costa Rica Pura Vida. He is fully bilingual in Spanish and English, and he has an exceptionally clear way of explaining surfing that is easy for anyone to understand, regardless of your ability level. If you enjoy invigorating and exhausting adventures, you should go with this package. Ride an ATV over jeep roads, through green pastures, and stop at secluded beaches. Cool off after hiking up to the waterfalls in Montezuma and a canopy tour. Finish off the day with a sunset horseback ride. 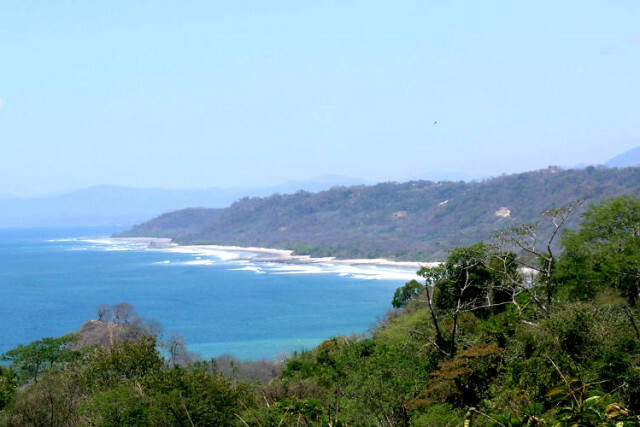 Finish up your trip with a Stand Up Paddle tour off the coast of Cabo Blanco. Conclude with a well-earned 60 minute massage. If you want to relax entirely and nourish your mind and body with yoga and massage, this is the package for you. Begin each day with an unguided sunrise walk on the beach, and end each day with an unguided sunset stroll. Unplug, bask in the gorgeous surroundings, and set your mind at ease. Go home relaxed and renewed.